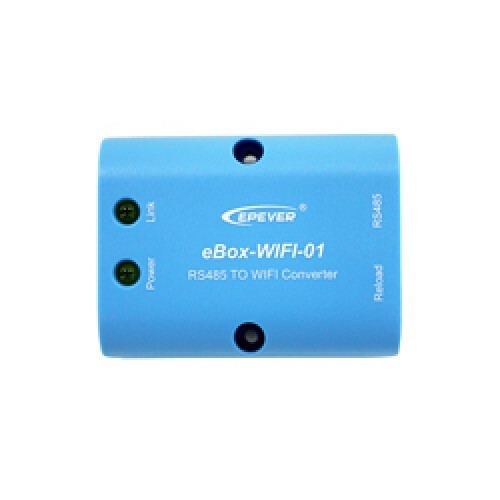 eBox-WIFI-01 is a kind of serial adapter which can make Tracer solar controller and inverter be with Wifi communication function, and carry out wireless monitoring, parameter settings, and etc. for the system only by cooperating with mobile phone APP. Now works on both iPhone and Android. http://www.epever.com/en/index.php/Technical/download and click on the software&APP tab.